Does your family go all out for the 4th of July? I have such fond memories of the holiday from my childhood. We would have a big BBQ at my grandparent's home in Southern California. There would always be an ice cream sundae buffet and then we would divvy up all the fireworks. Such sweet memories and I hope my children look back with affection on our traditions as well. We may no longer be in California, but we are together and looking forward to another family BBQ this year. 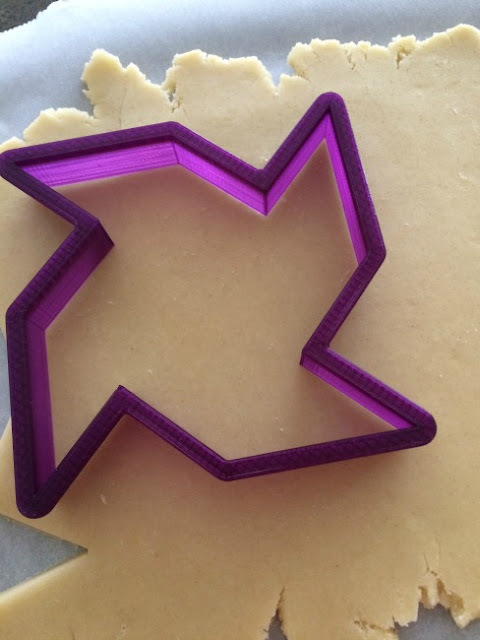 I wanted to create a super fun cookie that would be memorable for the children and look great on the table. These pinwheel cookie pops are the best! 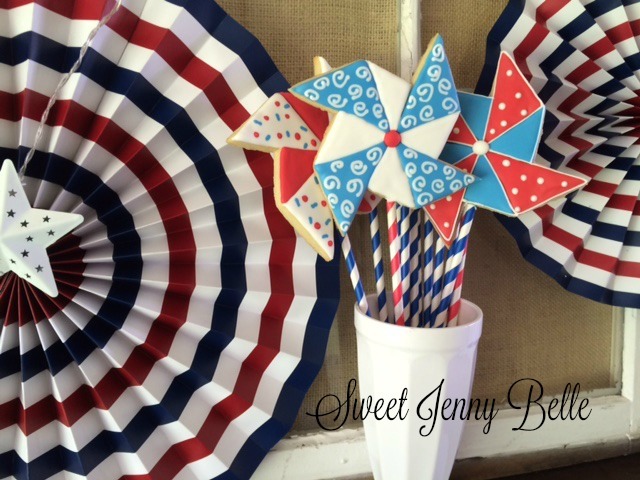 Not only are they delicious, but they are so beautiful and add fun height to your patriotic dinner spread. 1. 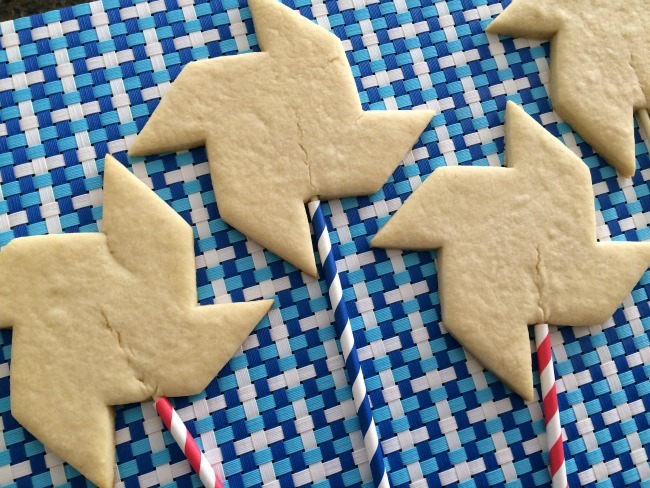 Roll out your favorite sugar cookie dough to 1/4-1/2" thickness, depending upon your preference. For cookie pops, I think you are better off with a thicker cookie - there is more room for the cookie stick and less of a chance that it will break. 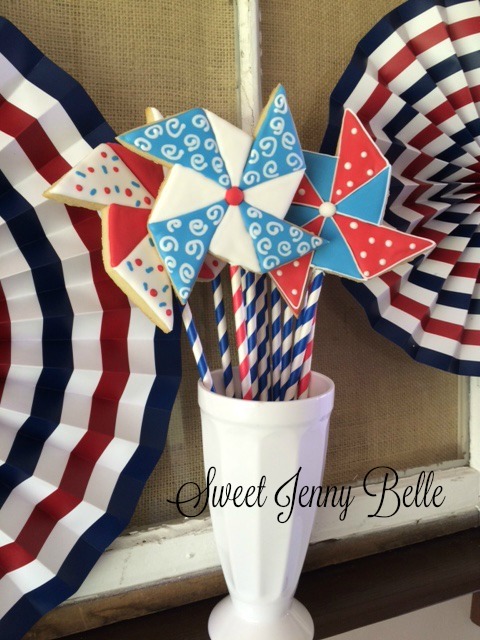 Cut out desired number of pinwheels and place on cookie sheet. Chill in the refrigerator for 30-60 minutes. 2. 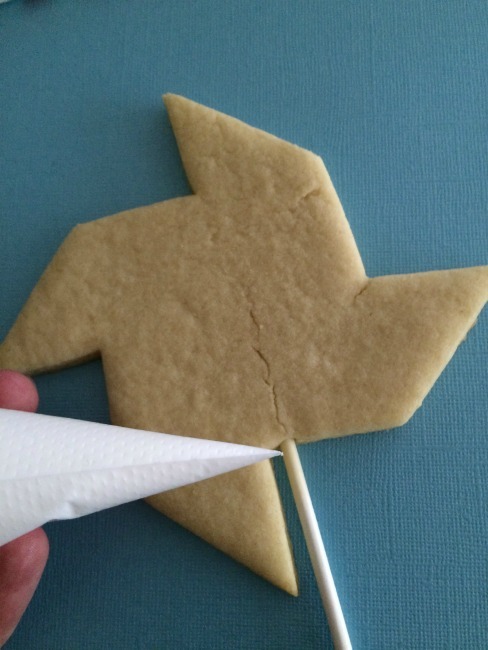 Gently press your cookie sticks up into the pinwheel about half way to the top. If your stick breaks through to the back or front, don't worry, just gently press the dough back on it. Bake cookies according to your recipe instructions - I typically bake mine for 11 minutes at 350 F.
3. Once cookies have baked and cooled, squirt a small amount of white icing around where the cookie meets the stick. Gently cover the stick with the cute paper straw. You can then squirt a bit more icing at the top and wipe away the excess. When the royal icing dries, it will harden and keep the straw in place. 4. Allow the icing to dry in the straw for about 30 minutes. 5. 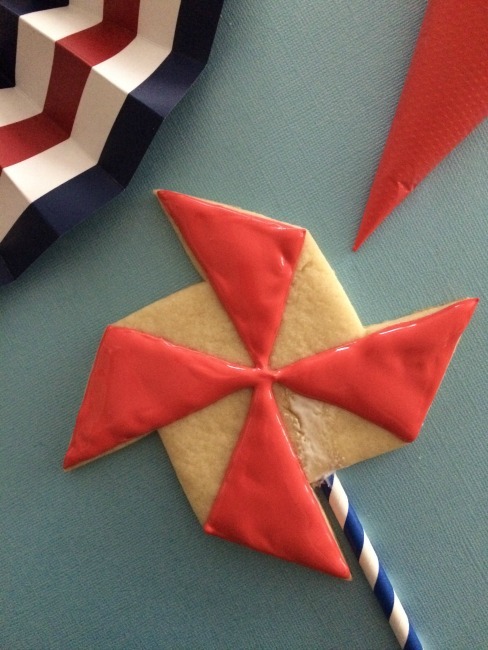 With your red flood icing, outline and flood the pinwheel triangles. 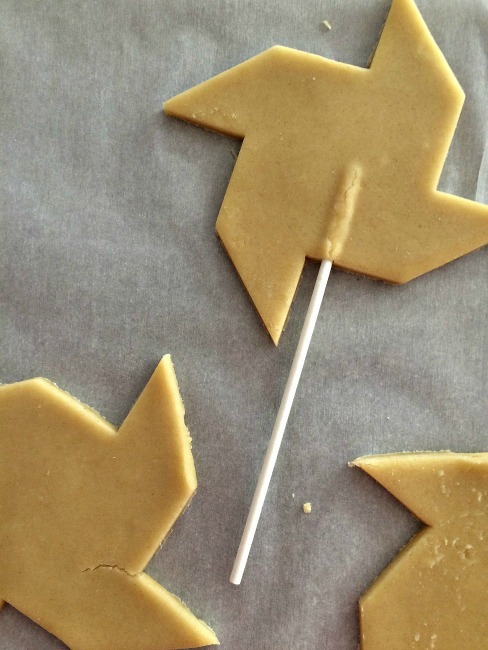 You can help spread the icing around with a toothpick if necessary. 6. 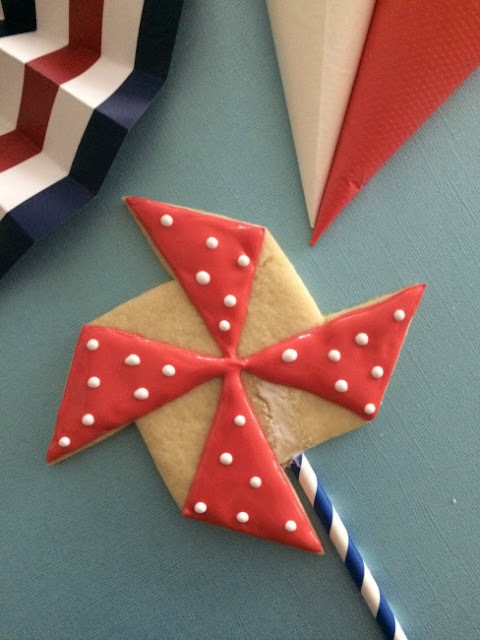 While the red icing is still wet, gently drop white polka dots into the triangles. 7. 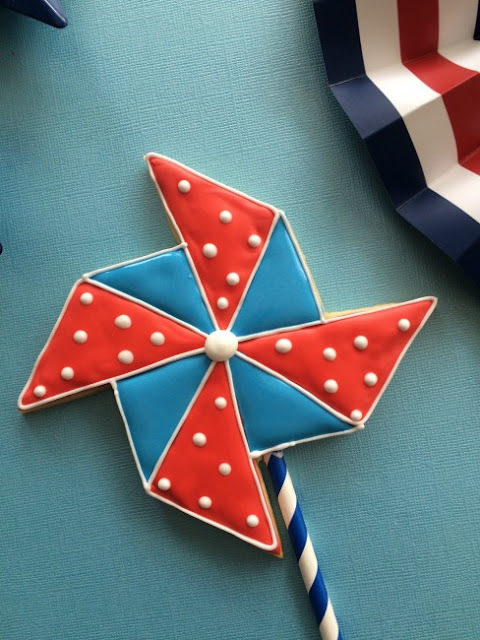 Fill in the remaining portions of the pinwheel with the blue flood icing. If your red areas have not developed a dry crust, be careful with the borders or you can pop it in a dehydrator for 10 minutes at 90 F.
8. With your stiff white icing, pipe an outline of the pinwheel and center button. 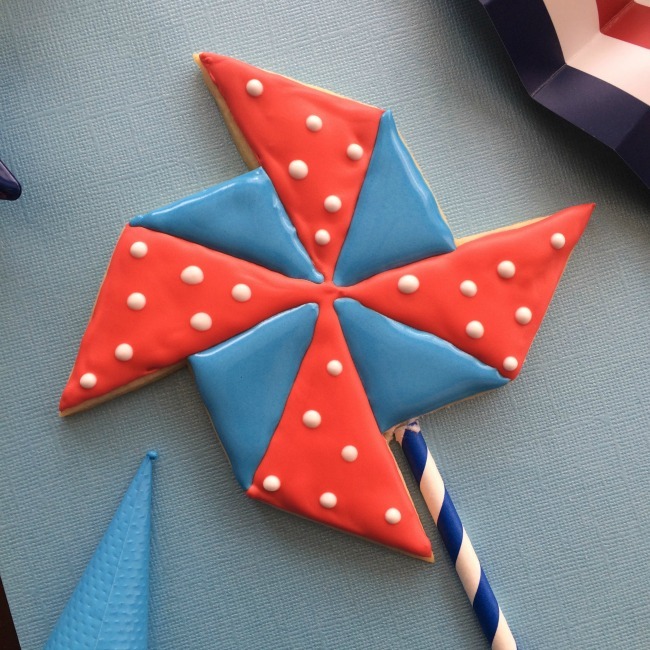 Voila, you have an adorable and patriotic pinwheel cookie pop. Your kids will go crazy about these, I promise! And they can perform double duty - set them in a pretty vase as a fun focal piece for your buffet before they are devoured as dessert. Looking for a royal icing recipe? Search no further, click here for mine!